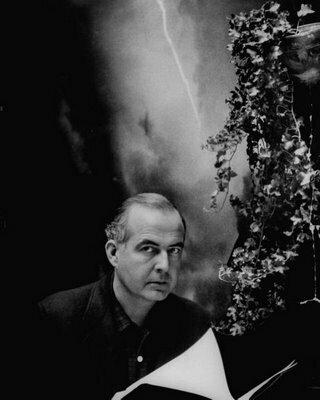 Of the handful of 20th century American composers rightly esteemed as genuine practitioners of Romantic compositional styles, Samuel Barber is quite possibly the prime exemplar. Born in West Chester, Pennsylvania in 1910, Barber was the prototypical musical wunderkind, setting to work on his first opera at the age of nine. In 1924, he became one of the first students to enroll in the now-renowned Curtis Institute of Music in Philadelphia and a number of his most popular and enduring works, such as The School for Scandal Overture and Dover Beach for voice and string quartet, were written while Barber was still a student at the Curtis Institute. Barber’s Essay for Orchestra (later re-titled First Essay for Orchestra following returns to the form in 1942 and 1978) was written in 1937, ostensibly at the behest of Arturo Toscanini, and given its premiere the following year, along with Barber’s Adagio for Strings. The Italian cellist-turned-conductor was an unusually keen champion of Barber’s music, which contributed significantly to the young composer’s early fame and international recognition. The attention and high praise of Artur Rodzinski and Ralph Vaughan Williams also helped to ensure Samuel Barber’s early place among the pantheon of distinguished American composers. The musical “essay,” a form of Barber’s own rather clever invention and one with which he had some previous success over a decade earlier in his Three Essays for Piano, is a medium much like its more familiar literary counterpart. As with a written essay, the idea behind a musical essay is the development of a complex, well-reasoned, thoughtful work drawn from a single melodic thesis. – J. Anthony McAlister is a cellist and writer currently at work on a fictional account of the abdication of King Edward VIII.